Hello, and welcome! 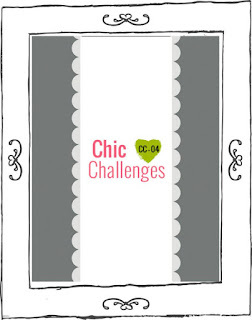 It's Chic Challenge day. Today's card is also a sneak peek into some fabulous new products that will come out with the new catalog, May 31st. Each year, Stampin' Up! introduces five new "In Colors". They do a lot of research to come up with the most current color trends so you will probably see these colors all around you. I have used the lusious Strawberry Slush for this card. The images come from one large background stamp called Wildflower Meadow. I just used a portion as it stamps 5 -5/8" x 4-1/8" There is a coordinating embossing folder. If you look closely at the flowers they are embossed. I also added a bit of Dazzling Details to the center of a few flowers. I love the way it came out. There are still a few weeks left to order from the current catalog. Although there are tons of fabulous new products coming out, it will be sad to see some of the retiring items go away. Be sure and check the retiring list, and order soon if you don't want to miss out. Thank you for stopping by. 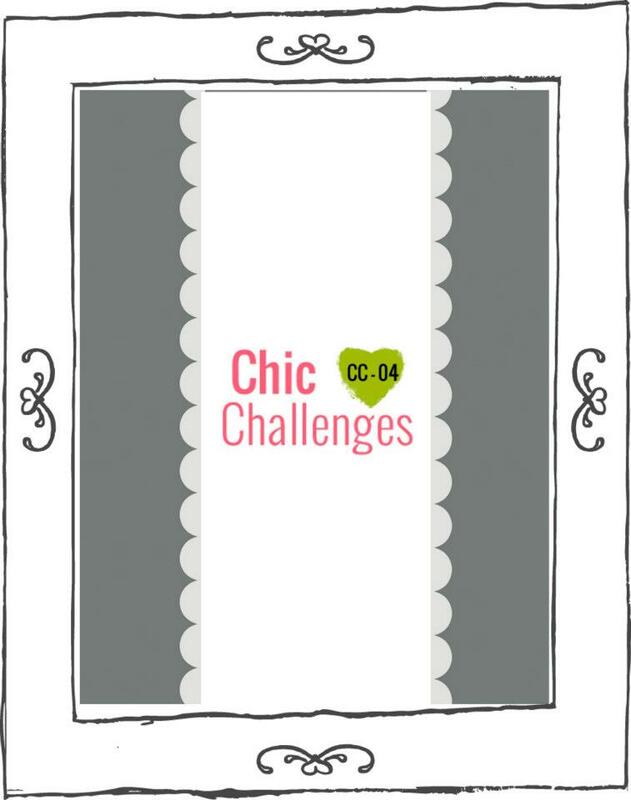 I hope you enjoy our Chic Challenge, and that you create something beautiful using our sketch. Have a great day! oooooooo this is stunning! my palms are itcing waiting for the new catty! giggle dots.... get a small silicone pot holder or place mat (dollar store), hot glue gun and glue for the gun (you can get glitter glue for it too). holding the gun close to the mat, drop a dot, let cool and there ya go! So lovely! Was hoping to see that new set used somewhere. Thanks for sharing. Hi,Jean! This is a BEAUTY! This is SU only right? Thank you, Denise! No this challenge is a sketch challenge. You can use any products you want, you just get extra consideration for using SU. Do it, do it, do it! Nice card Jean! I'm so excited about the new In Colors...love that Strawberry Slush!! !